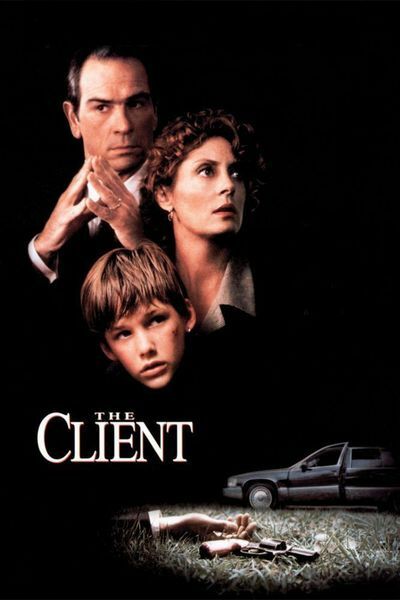 This next film, The Client (1994) is being reviewed by me. Let’s see what I thought of this movie…. Brief Synopsis – After witnessing the suicide of a lawyer with a secret, a 12 year old boy must find the best way to stay ahead of the police and the mob. My Take on it – Back in the early 90’d everyone (including me) thought that John Grisham’s books were the hottest things ever, so they began to crank out the movie adaptations very quickly and in the process showed how many of his main characters had some very similar traits and the novelty faded away. Some of the scenes actually felt laughable due to the dialogue and the blatantly false accents by most of the characters. Despite having a very recognizable cast including Susan Sarandon, Tommy Lee Jones, JT Walsh, Anthony Heald, Mary Louise Parker, Brad Renfo, Anthony Edwards, William H. Macy, Will Patton, Ossie Davis and Anthony LaPaglia, none of them really stck out here besides Sarandon. The courtroom drama just wasn’t really captivating enough and it’s quite easy to find many movies in this genre that are better and more memorable than this one was. Bottom Line – Not one of Grisham’s best stories and some scenes feel really out of place. Sarandon is very good here but none of the others stand out at all. There are plenty of much better courtroom mysteries out there; this one feels quite bland and average. Reblogged this on Ten Stars or Less. Susan Sarandon was very good in this movie.